Quinoa Tabbouleh With a Poblano and Lime Twist – What's for dinner, Doc? I love Sunday Market days in Miramar. My menus are inspired by the freshest ingredients. I planted herbs on my deck and the landscaper assures me that the plants and soil are organic. Call me a skeptic but I’m guessing my herb garden would not get the organic seal of approval in the states. I have learned to accept that I eat more pesticides in Mexico than I do in the U.S. but at least I’m in charge of what goes on my herbs after they are planted. 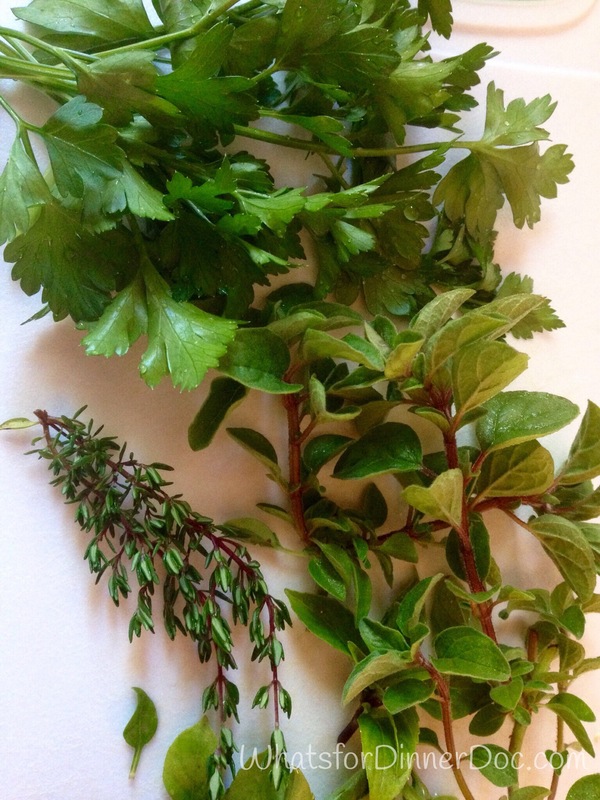 This recipe showcases my fresh parsley and mint. The tomatoes are readily available and vine ripened so I can enjoy them year round. Quinoa is available in our larger supermarkets and in specialty shops that cater to expats. The price is equivalent to U.S. prices which means it is ridiculously expensive by Mexican standards. 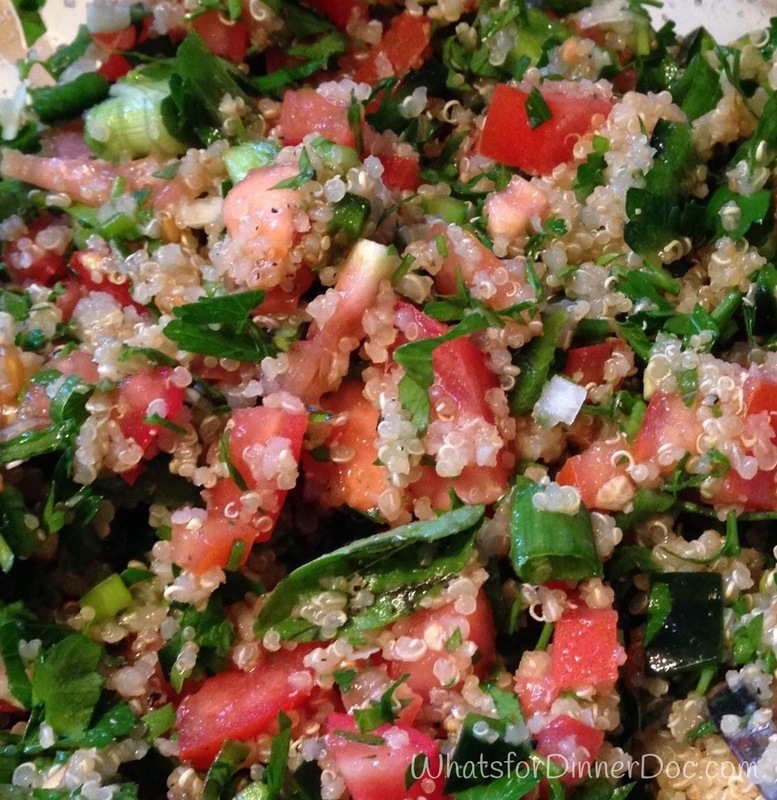 Quinoa has more protein and nutritional value than bulgar and it’s easier to find, thus the quinoa in this tabbouleh. Lemons are difficult to impossible to find here so I often substitute key lime juice for lemon juice. I added poblano peppers for a mild spicy kick and a Mexican flare. This salad is a superfood power house. Enjoy with homemade hummus and tortillas in a vegan wrap or as a side dish for grilled chicken or fish. I’m late for the party but I’m taking my salad to Fiesta Friday where you can find more delicious recipes. This week’s co-hosts are Zeba and Jhuls. Meanwhile, whisk lime juice and garlic in a small bowl. Gradually whisk in olive oil. Season dressing to taste with salt and pepper. Let quinoa cool and transfer to a large bowl; mix in 1/4 cup dressing. 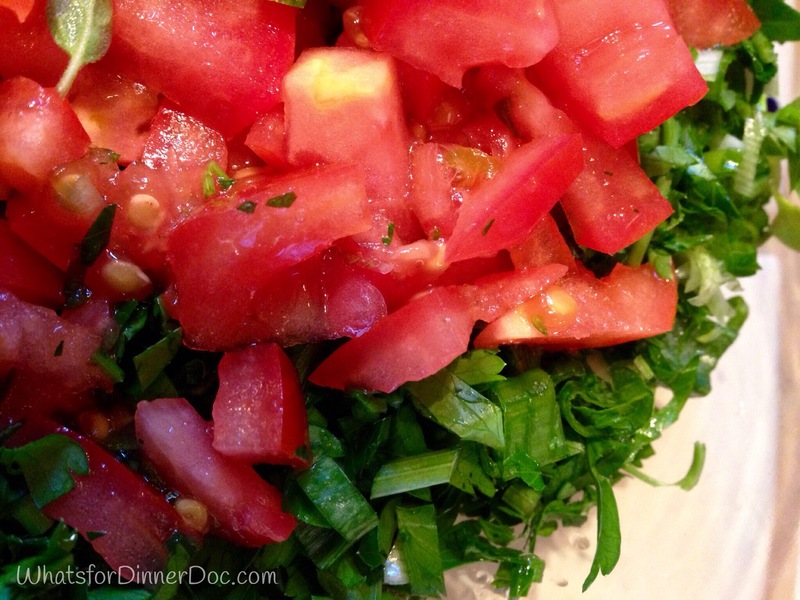 Add cucumber, tomatoes, herbs, and scallions to bowl with quinoa; toss to coat. Season to taste with salt and pepper. Toss gently with the remaining dressing. I read with envy! I used to love cooking up some Quinoa and making tomato-less tabouleh (spelled differently, I know). I often subbed in some small carrot round slices or corn. I’ve added other veggies too. I am ever and always looking for heart healthy recipes that do NOT have tomatoes, given my allergy. It is as difficult as trying to find grains like Quinoa in Kentucky. That’s too bad about your tomato allergy. Yikes, I eat tomatoes every day. You would be amazed at how many products sneak them in. Seriously limits one’s ability to go out to dinner someplace nice for treat, too. Somehow I have missed the posts that mention you are now living in Mexico, how wonderful and it must be a huge change, what a delicious and fresh salad. Best of luck and look forward to more delicious recipes with a south of the border flair. I’ll be here until May, escaping the Nevada winter weather. YUMMY! Cant wait to try this one out! I have plenty of parsley and mint growing. Stop by for a snip or two. Thank you Zeba and thanks for hosting this week. That’s great. We need more healthy recipes. Looks beautiful, I love tabbouleh so simple but so delicious! I have to agree. Thank you for stopping by my kitchen.